Berkeley & Brown Planning and Architecture can help you with all your planning needs. 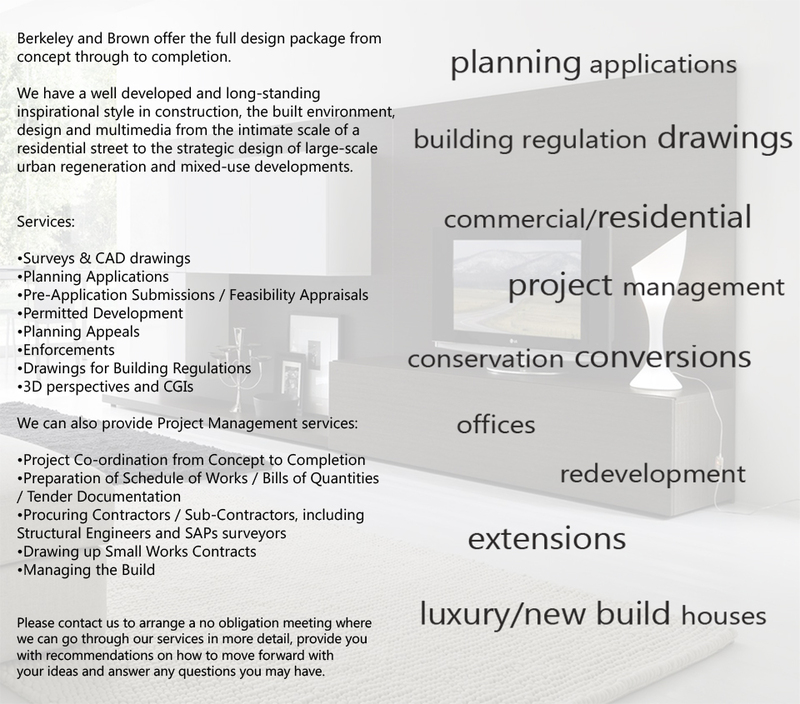 Services offered include planning and building regs drawings. Council Planning Permission. Extension. Planning Applications. Building Regulations Approval. Building Control. Building Regs. Plans. New homes. New builds. House plans.